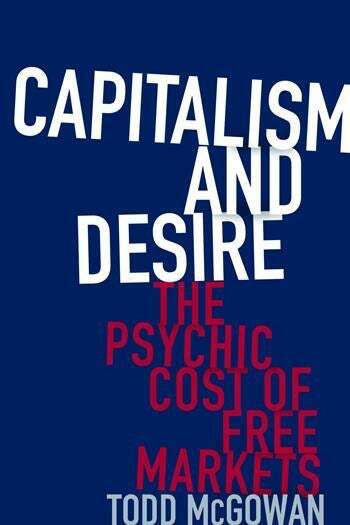 In my last blog post I talked about Todd McGowan’s book Capitalism and Desire, discussing how capitalism has infused every aspect of our lives. I briefly mentioned that Professor McGowan included online dating in his list of cultural expectations that perpetuate sameness and turn love into romance- for-sale. Having numerous new perspectives on loss and desire after reading McGowan’s work, I pay more attention to news items and editorials that illustrate his complaints or echo his misgivings. Kriezman makes the case for the right degree of sameness, yet also for differences and the unexpected. Dating algorithms cannot possibly capture the unexpected, the part of us that is pleasantly surprised and delighted to meet someone we never would have imagined as a partner. Although we need to share basic values with people we love, we also desperately need to find that person who taps into the aspects of ourselves that we have yet to fully discover. This is the magic of relationships and of falling in love. But it is also the basis for close friendships and the historical role of the muse. The muse helps the creative person find inside him or herself what was not previously known. There is no online “muse” service, and while people do meet and marry through online dating services, how many of them are really knocked off their perch by someone who pleasantly challenges them to be more and to see the world, and themselves differently? Although the disorientation that accompanies new experience can be unsettling (which is why Freud likened falling in love to “temporary psychosis,”) it is also the vehicle for personal growth and change, as well as the epitome of desire.